We’re always looking for new and creative ways to practice name recognition and building, as it is an essential skill for preschoolers. Whether it means involving those gross motor skills, fitting in some fine motor practice, or sequencing, we love to work on names. Recently, we put those little fingers to work to sequence the letters in our names for some fun hands-on name practice. 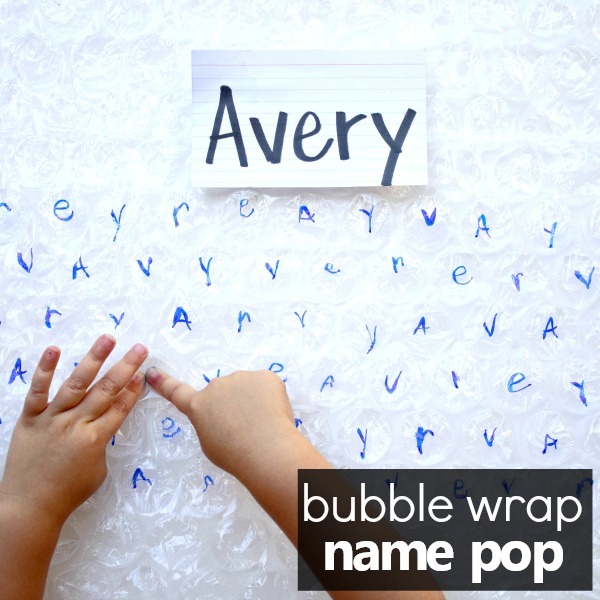 With just two simple materials, you can have some name popping fun too with this bubble wrap name activity. 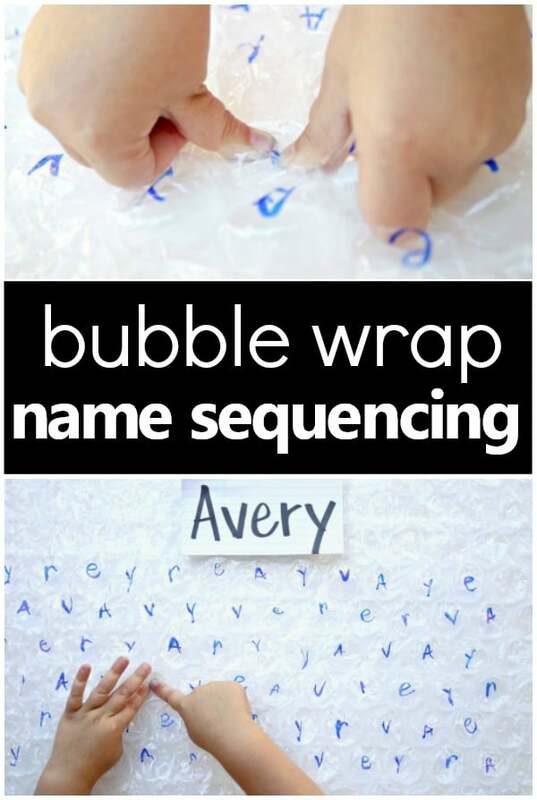 To set up this bubble wrap name sequencing activity, gather a foot or two of large sized bubble wrap. We found some for a dollar per foot at our local shipping store. 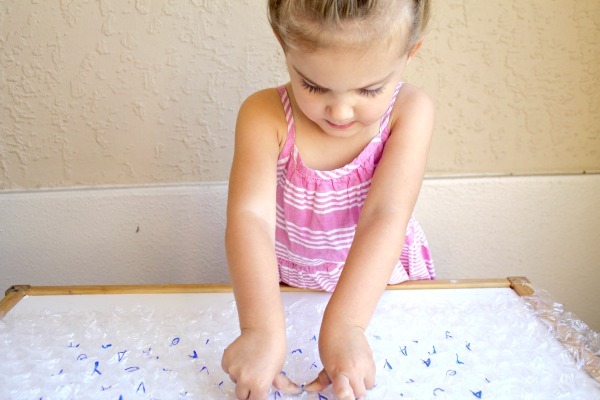 Next, using a permanent marker, write the child’s name in sequential order on the wrap. 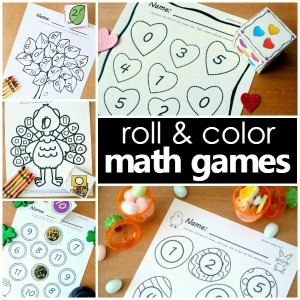 In a separate section, randomly write the letters that make up the name for the second part of the activity. 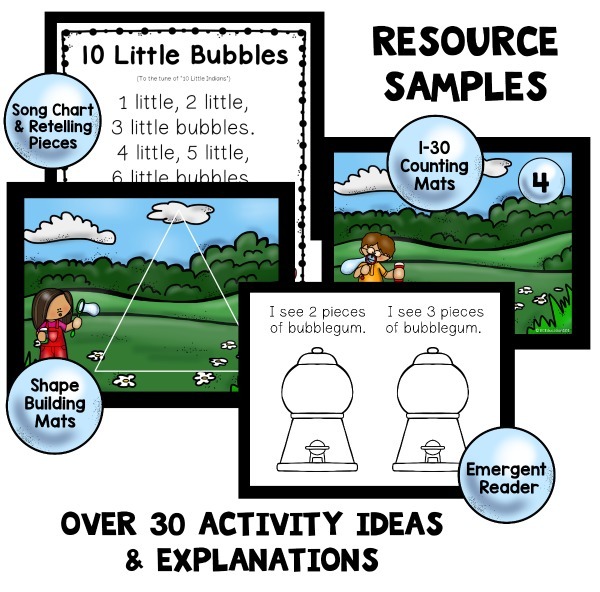 Beginning with the child’s name provides an introduction to the name popping activity and an opportunity to practice name sequencing. 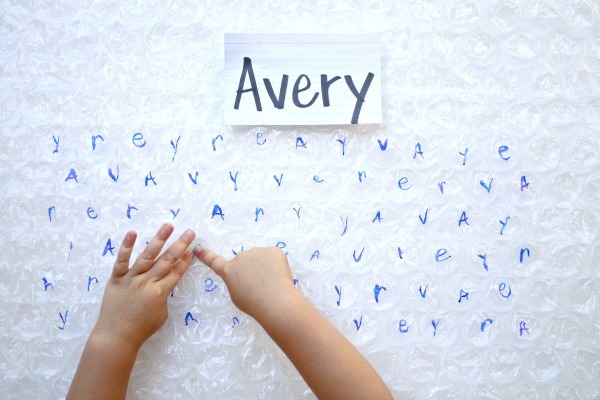 Saying each letter aloud as you pop will also help reinforce the skill. 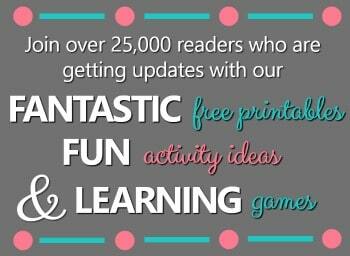 After reviewing the name, it’s time to play the bubble wrap name sequencing game! Instruct the child to find the letters in their name and pop them in their proper order. We set out an index card as a reference guide. We continued to say each letter aloud as we sequenced the name. Some giggles ensued after most pops, as they loved to hear and feel the POP beneath their fingers! The name game continued until all of the bubbles were flattened, which provided lots of name sequencing practice! It was so much fun watching them hunt down and identify each letter in their names. 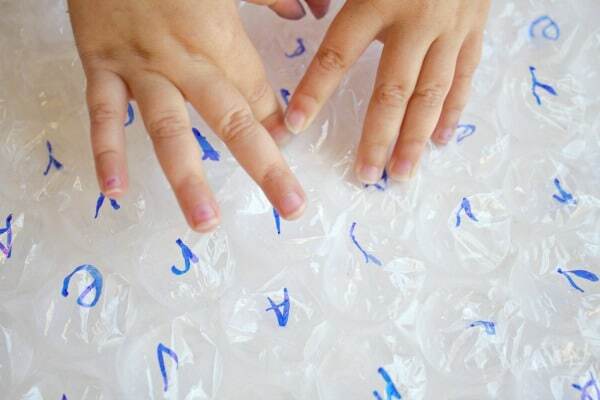 If you’re looking for a simple and fun hands-on way to practice name building, grab some bubble wrap and get popping!